Mud flaps may not be something you think about as you climb in your truck, but don’t let your record get dinged on account of ignorance. 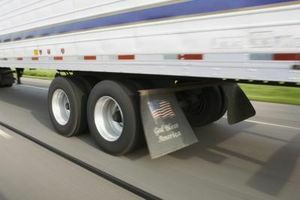 Did you know there are no federal mud flap laws? 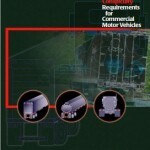 Because laws are set by each individual state, the Federal Motor Carrier Safety Administration (FMCSA) doesn’t mention them in its list of safety regulations. So what mud flaps should you put on your truck? In Texas, Arizona, Delaware and Missouri, your mud flaps should be no more than 8 inches from the ground. However, if you’re driving through Alaska, your mud flap only needs to hang 14 inches from the surface of the ground. Maryland requires that mud flaps extend from the truck to the ground the same length as the tire’s width (If the tire is 12 inches wide, the mud flap should be 12 inches long). While some states are more lenient, in Michigan, Oklahoma and Pennsylvania mud flaps must prevent debris from leaving the tire at a minimum 22.5 degree tangent angle. Last but not least, New York law states that your mud flap can’t be more than 1/3 of the distance from where the bottom of the mud flap makes contact with the back wheel. Some states are stricter than others, but with so many states having different requirements how do you obey the all the laws? To be on the safe side, general guidelines recommend that your mud flaps don’t hang more than 6 inches from the ground. 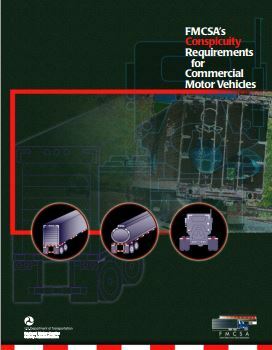 If you are curious about any of the other 41 states’ specific rules regarding mud flap laws, check the department of transportation website for that particular state.